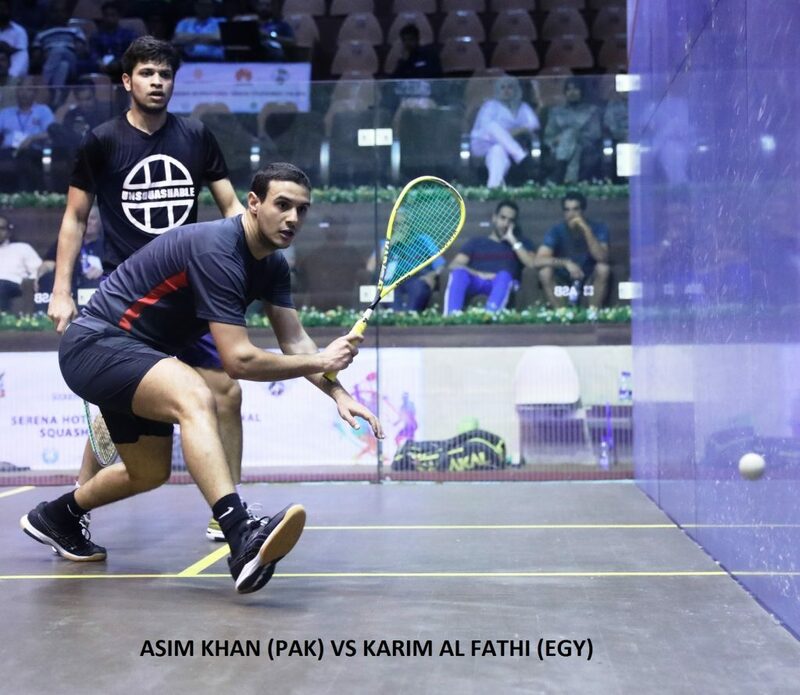 1st Quarter Final, World No 46 Karim Ali Fathi (Egy) beat World No 83 Asim Khan (Pak) 11-9, 12-10 and 11-6. The match lasted for 42 Minutes. 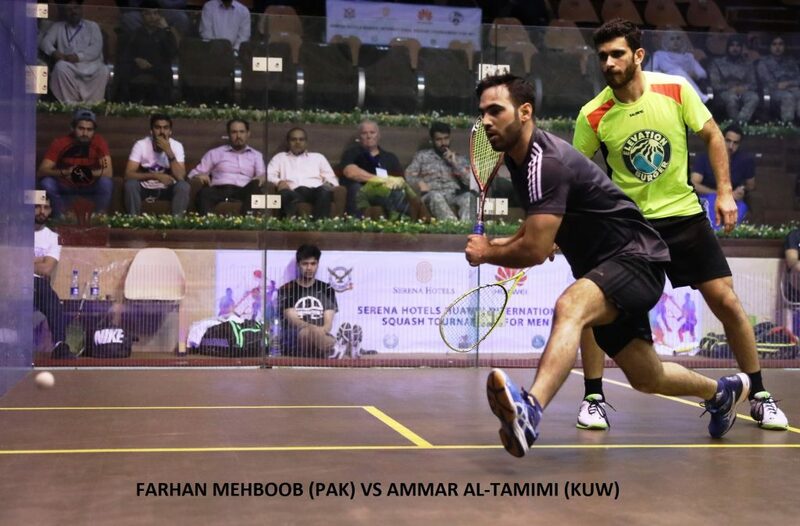 2nd Quarter Final, World No 72 Farhan Mehboob (Pak) beat World No 110 Ammar Altamimi (Kuw) 11-5, 11-4, 12-10. The match lasted for 20 Minutes. 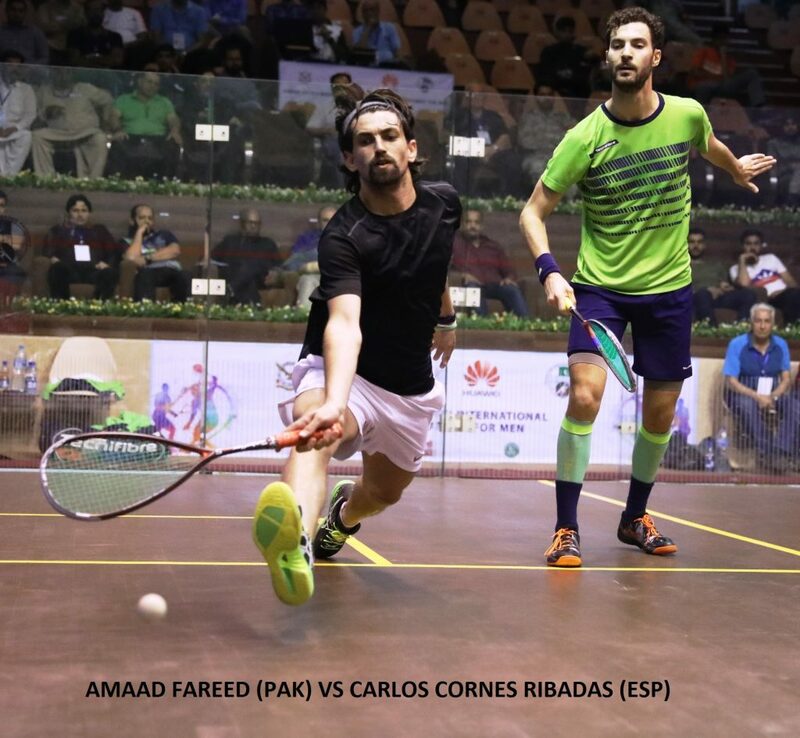 3rd Quarter Final, World No 81 Carlos Cornes Ribadas (ESP) beat World No 122 Amaad Fareed (Pak) 9-11, 11-5, 11-8, 4-11, 11-4. The match lasted for 56 Minutes. 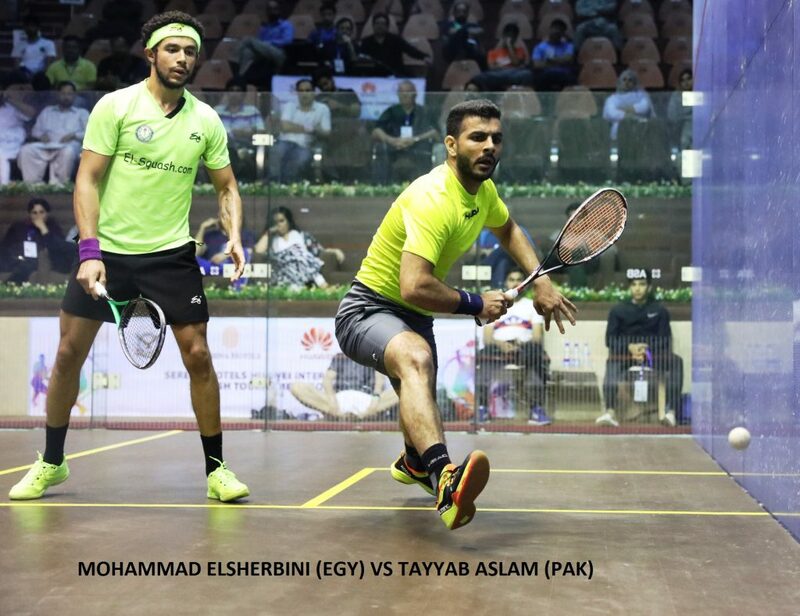 4th Quarter Final, World No 74 Mohamed ElShirbini (Egy) bt World No 53 Tayyab Aslam (Pak) 11-13, 11-9, 11-2, 6-11 and 13-11. The match lasted for 91 minutes. The Serena Hotels-Huawei International Squash Tournament for Men is being played at Mushaf Squash Complex, Islamabad from 06 – 10 April, 2019. The tournament carries a prize money of US$ 20,000/- and apart from 11 Pakistani players, a group of 13 international players from Belgium, Egypt, Germany, Hong Kong, Ireland, Kuwait, South Africa, Spain and Zimbabwe are playing. Serena Hotels and Huawei as main sponsors of the event. Previous articleTour The Basque Country – Day 1: Germany’s Schachmann Wins Individual Time-trial.